*For superior handcrafted dry rubs, the award winning Chile Chili, as well as bulk spice and chiles, check out the awesome Just Simply Good Stuff web site! *Educational and agriculture information at Chile Pepper Institute at New Mexico State University (NMSU). 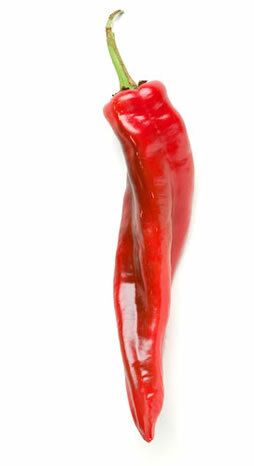 *Chile Pepper Magazine is the best dedicated to chile peppers. *Fiery Foods is a super site for hot foods and barbecuing. *The Hot Sauce Blog is dedicated to spicy sauces and foods. *Looking for more info on chili cookoffs? Check out the International Chili Society. •	In 2007, salsa surpassed ketchup as the most widely used condiment in the USA. •	A Chile’s heat or intensity is commonly, but incorrectly, said to come from the seeds in the chili. 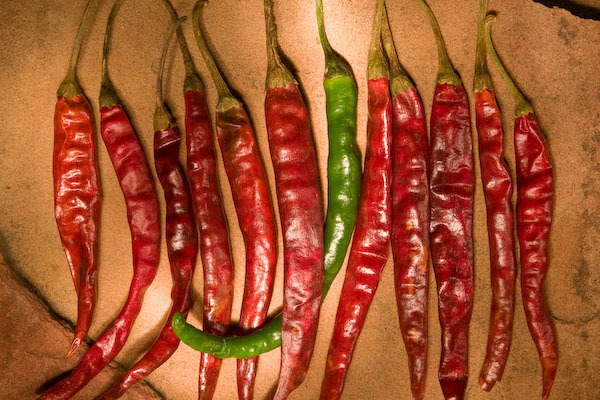 The heat actually comes from capsaicinoids - the combination of capsaicin (the active component of a chile) and a few other related chemicals - that is found along the placental tissue in the center of the chile where the seeds are found. •	Capsaicin - the 'heat' or 'burn' found in chiles - is the primary ingredient in pepper spray. •	Birds are not affected by the heat or pungency of capsaicin due to the fact they do not have a receptor to detect it. This allows capsicum plant seeds to be dispersed through avian travel. Copyright © 2008-2017 AZP WORLDWIDE. All rights reserved.